JULEP - End of Season Sale Up to 75% off! 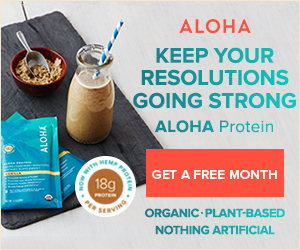 Take advantage of this amazing offer today! Just like all of the Julep Savvy Deals, supplies are limited and when they are gone, they are gone. 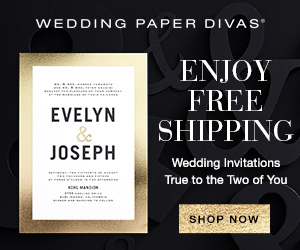 Wedding Save the Dates, Thank You cards and Invitations 10% off + Free Shipping! Enter to Win a $500 LeapFrog Prize Pack! Enter the EPIC sweepstakes for a chance to win the fastest, most high performance tablet yet from LeapFrog! Epic comes with access to premium LeapFrog content and select Android apps, 2MP Front & back cameras plus 480p video recorder, and over 25 apps at a $150+ value. Get access to educator approved kid favorite Android™ apps, Kid-safe web and age-appropriate experiences with LeapSearch™, and no in-app purchases or 3rd party ads. Recipe - Banana Nut Protein Muffins! Disney Store Sale Up to 50% off! For a limited time, shop the Disney Store Sale with savings up to 50% off. Prices starting at $1.99. Shipping is free on orders $75 or more with code: SHIPMAGIC. 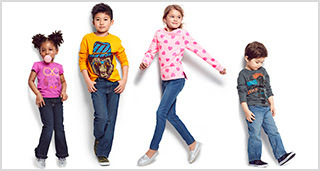 Today only, The Children's Place has Basic Denim Jeans on sale for ONLY $6.99 (Retail $19.50). Plus, throughout the entire month of August, they are also offering FREE shipping – no minimum. Even sweeter, score an additional 20% off your order with the promo code 5PB7FAF20 at checkout. That means you can score Jeans for just $5.59 shipped! IHOP Share a Smile Day - $1 Short Stacks! Happy Share a Smile Day! Get your $1 short stack and ‪#‎IHOPSmile‬ on! Today only, from 7AM - 7PM, IHOP is offering guests a short stack (3 Original Buttermilk Pancakes) for $1 - with $0.50 of the proceeds going to No Kid Hungry. Valid at participating locations only. Dine-in only. Limit 1 per guest. Not valid with any other coupons or discounts.